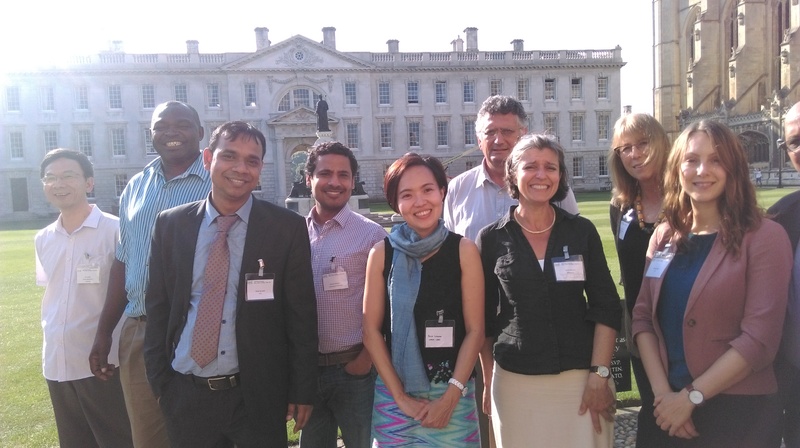 Julia Jones from the p4ges project has just returned from a workshop in Cambridge which discussed the impacts of payments for ecosystem services and other conditional transfers linked to environmental management on efforts to reduce poverty. Government representatives, NGOs and researchers got together to share experiences from schemes (large and small) in Bangladesh, India, the Philippines, South Africa, Costa Rica, Mexico, Brazil, Ethiopia and Madagascar. IEED prepared a briefing document in advance on the workshop available here. Below is the statement Julia made at the workshop which summarises the situation regarding PES in Madagascar. 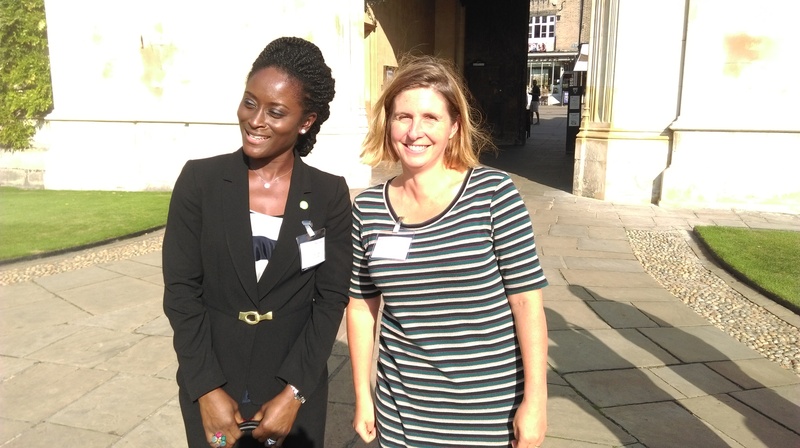 Held at Kings College Cambridge, 14th and 15th September 2016 (organised by IEED with support from espa, IUCN, BioEcon). I am speaking on behalf of my colleague Juliard Rakotomalala from Madagascar’s Ministry of Environment, Ecology and Forests who unfortunately was unable to attend but has been working with Fano Andriamahefazafy (University of Antananarivo), Georges Serpantie (IRD) and myself to prepare this brief summary of the current situation of PES in Madagascar. The recent creation of a Department for the Promotion of Ecological Partnership (with an annual work plan with a big focus on PES) within the Ministry of Environment, Ecology and Forests. A National PES workshop was held in May 2016 and shows a high level of commitment at the national level for policy to support PES. Since August 2016, a committee for development of a national PES policy has been implemented. Activity in PES in Madagascar is much smaller scale than in some of the other countries we have been hearing about (such as China and the Philippines). By far the largest relevant scheme relevant to is REDD+. Madagascar as has 3 large ongoing REDD+ pilots (as well as some smaller schemes implemented as learning projects). There has also been a number of small scale direct payment for community conservation schemes. These were implemented by conservation NGOs (some with international aid funding), resources for micro development projects were distributed based on performance in annual monitoring of threats and biodiversity in community-managed forests. The conditional element of most such schemes has been dropped in the last few years (although the NGO’s engagement with communities continues). They cannot be considered as ongoing PES initiatives. There is particular and growing interest in the potential of water-based PES in Madagascar. There have been three efforts in this area to date. None is directly linked to the formal water sector and there is no relevant government legislation. A PES contract between users of hydro-electricity from a small hydro dam and upstream farmers in the catchment of the dam was signed (in 2013) after four years preparation (Tolongoina in the eastern rainforests). There are ongoing efforts for a small-scale drinking-water related PES scheme in the town of Andapa in northern Madagascar (no contract is signed). The environmental impacts of the Tolongoina case study (the only active water-based PES in Madagascar) have not yet been deeply assessed however it appear that the upstream farmers have indeed stopped burning and land clearance in compliance with the contract. The carbon projects are claiming to have reduced deforestation but there are challenges in terms of ensuring the appropriate baseline (constructing a realistic counterfactual-what would have happened in the absence of the scheme) is very challenging. Poverty impacts are perhaps even less well understood than the environmental impacts. The upstream famers in the Tolongoina case study have not yet received payment from the water committee and so appear to have changed farming behavior (and presumably born an opportunity cost) without receiving the hope-for compensation. There has been a number of studies concerning the distribution of benefits in the various REDD+ pilots which illustrate the challenge of implementing effective micro-development projects in remote communities. In summary: there is a lot of interest in PES in Madagascar and a determination to learn from the existing experiences during any scaling up.